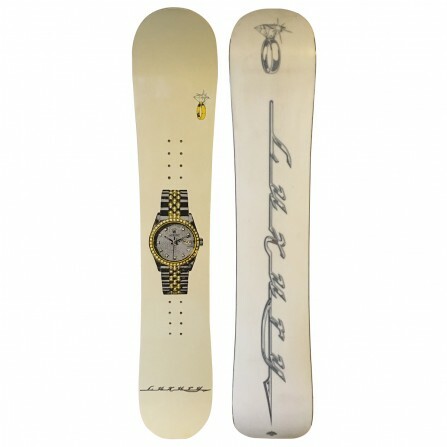 Luxury Pipe 150 was a small niche Canadian Snowboard brand from Vancouver, BC. They were in biz from 93-97 and all their boards were manufactured by Mervin. Founded by Paul Culling, Luxury Snowboards was a Canadian brand based out of Vancouver BC. All boards were pressed by Mervin Mfg from 1993 to 1997. Some of their pro riders included Shin Campos, Mike Estes, Marc Castonguay, Derek Scott, Dirk Gragert and even Lance Mountain! If anyone has any additional info to share on this board or the Luxury brand email us.